This contest has ended. However, we'd like to offer you 20% off our Hamildays collection. 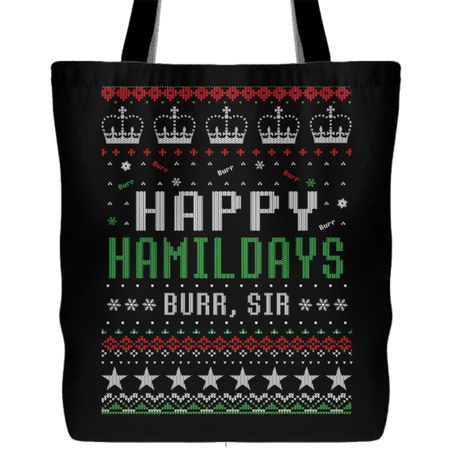 Just Enter Code: HAPPYHAMILDAYS at checkout to claim this offer. These make the BURR'FECT holiday accessory and will be the talk of holiday party! 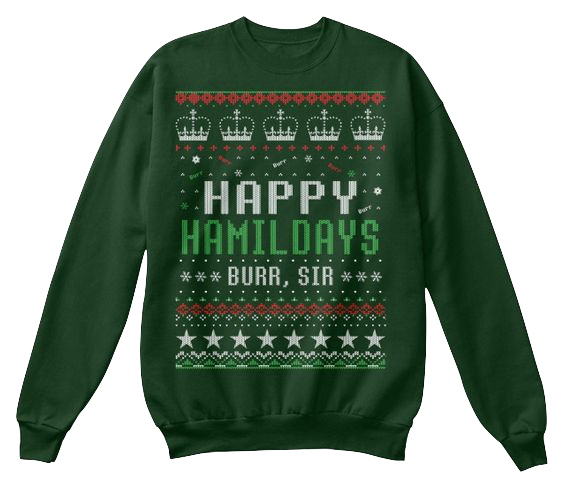 Our best selling and highly featured Hamilton ugly sweatshirt! Can't wait? 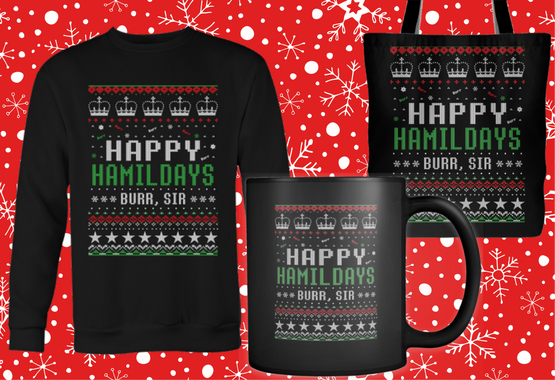 Take 15% off Happy Hamildays gear. 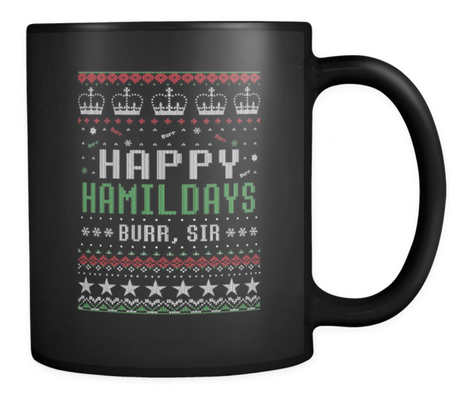 Just enter code: HAMILDAYS at checkout. Sip some mint tea or indulge in a revolutionary toddy for the body! Bringing treats to the holiday party? This tote will make them enter the room in style!